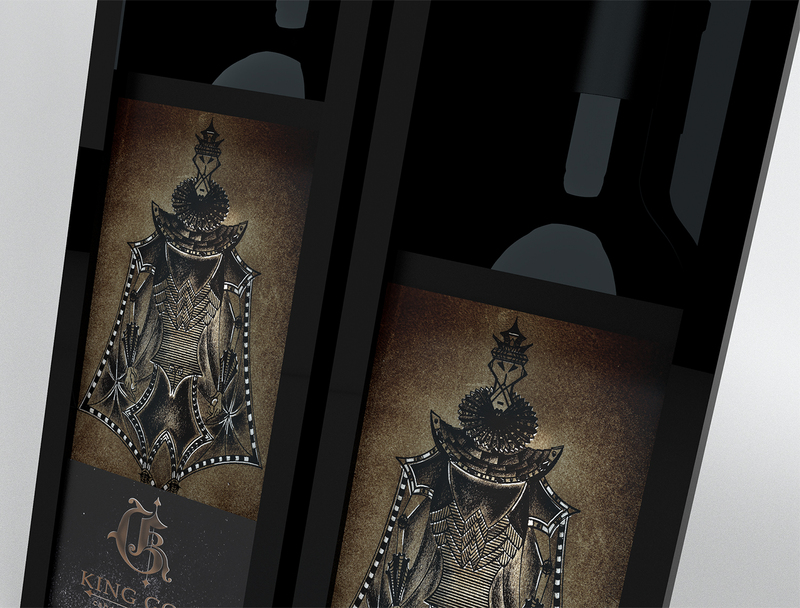 King Goth vintage style embodies the history, in a bold, adventurous way, concentrating its visuals on a numerous amount of details. 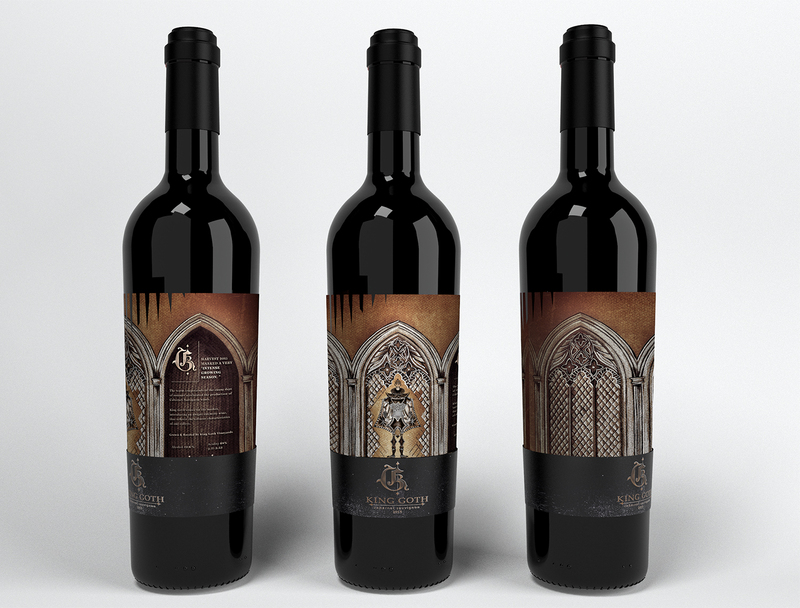 The project is creating a gothic visual expression for the customers to discover step by step with their visual & tactile senses. 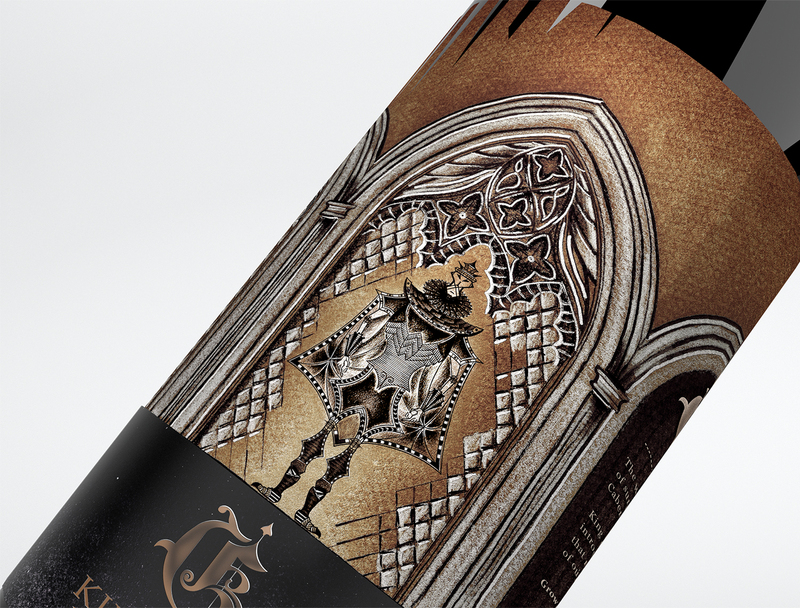 The design uses black and white accents on a vintage, textured paper with detailed embossed elements. 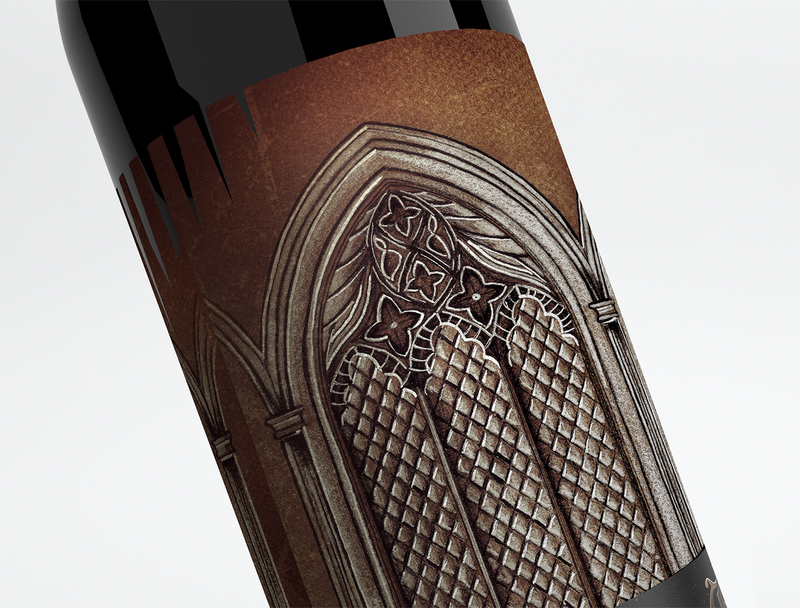 The combination of textures gives a more complex depth to the whole composition. 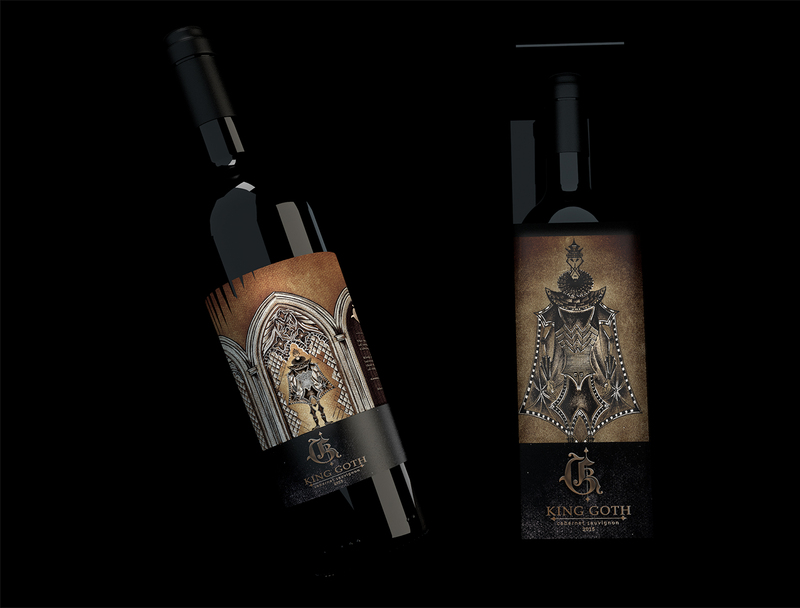 More important, the packaging design project tells its story, the story of King Goth, engaging the customers in this gothic adventure. 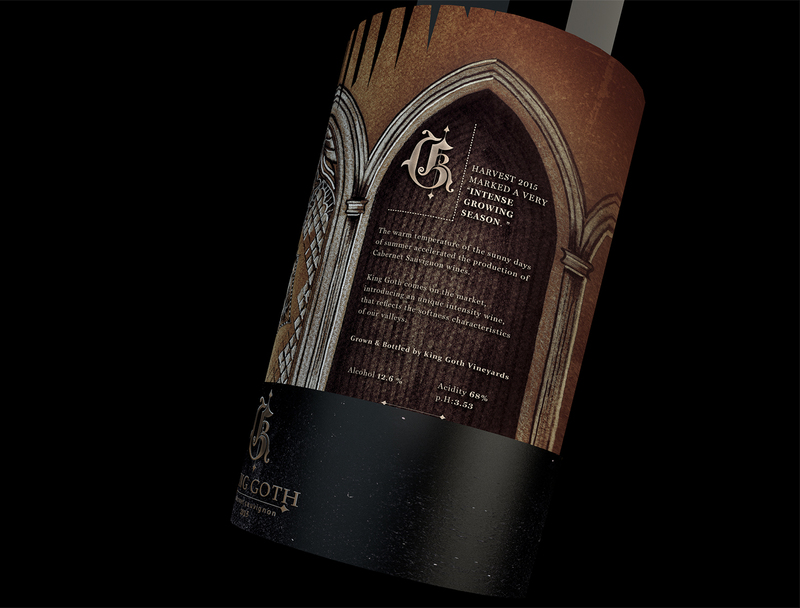 Also check out King Goth - how it is made video. 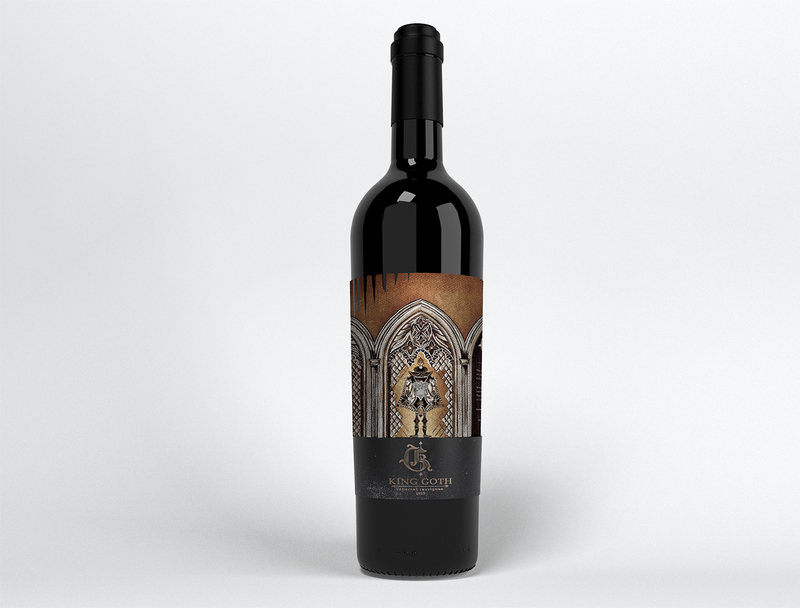 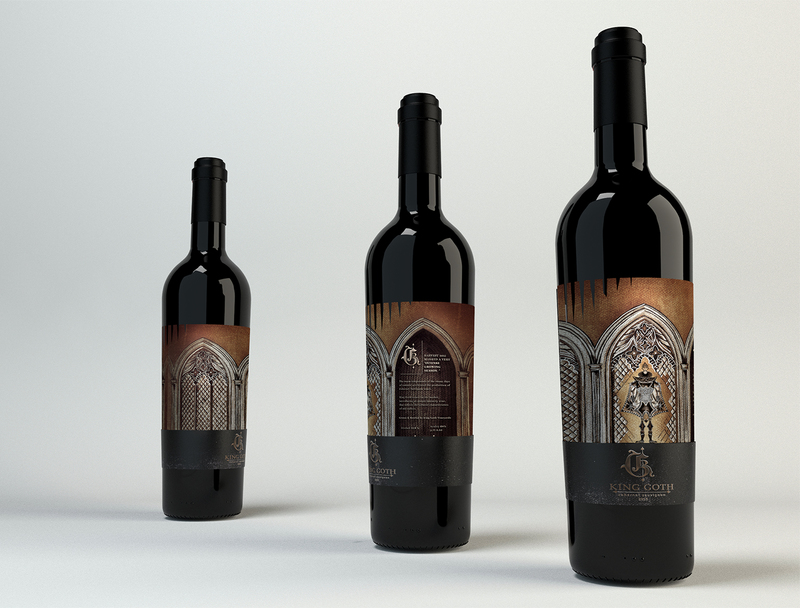 The hand drawn illustrations of King Goth and the architectural elements are transforming the bottle on a authentic testimonial of the old, mysterious past.